Morgan received her first cornea transplant when she was just 11 months old in December, 2002 and the second transplant to correct the other eye when she was 13 months old the following February. Prior to Morgan’s transplants, she had not seen anything including her family. After her surgeries the surgeon took the bandages off her eyes and she looked at us, her family, for the first time and she smiled. From her big smile we knew the transplants were a success and her life would be forever changed. Having the transplants and giving Morgan clear vision has made a huge difference in our lives. When Morgan was first born, we were told that she would never be able to read print or ride a bike. 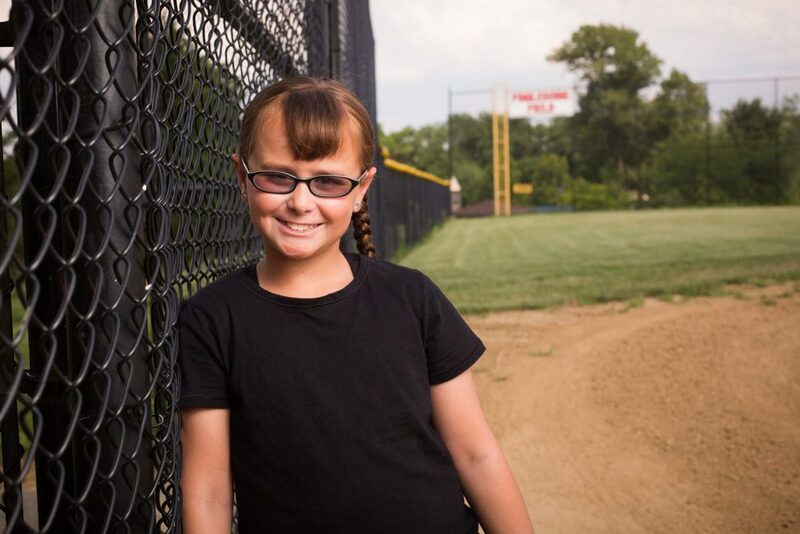 We are happy to say Morgan reads, she rides a bike, she’s an excellent soccer player, she can read music and play the clarinet, and she’s even the pitcher for her fast pitcher softball team. Though Morgan doesn’t remember the days when she couldn’t see, she has heard all about them and has pictures of her journey hanging in our house to remind her daily. Our family is very grateful for her gift of vision. We are appreciative to the donors and their families. Please consider helping other families by registering as an organ and tissue donor today.